blonde photo :: have more fun! the blonde photographer is now a boozehound. nearly five years ago i said yes to perhaps the craziest idea to date: launch a micro distillery on the eastern shore of maryland and become the first in over 40 years to distill rums & whiskeys in the free state. with no money, no plan, and nothing more than a desire to create something unique, i followed my business partner’s dream and we began distilling rum in tiny batches, from louisiana sugar cane & molasses. just a few weeks after we opened, we mashed our first batch of true maryland rye whiskey, and then the press started rolling in, followed by more customers than we ever imagined. it’s been a boozy whirlwind, and i’m still catching my breath. now in our 4th year, Lyon Distilling Company is a delightful little booze factory built from the ground up, where we make rum & whiskey from scratch, all day, every day. our team has grown from 2 to 10, and we have an array of rums, whiskeys & liqueurs. you can come visit us anytime – we are open every day, and i live across the street in the charming town of saint michaels. i’m also the president of the Maryland Distillers Guild and a town commissioner. my new mission: getting people to drink more rum & promoting american-made spirits through education & legislation. read all about what we are doing here. my photography is now mostly tiki-inspired instagram snap shots of my booze factory, funky cocktails i drink, & eastern shore scapes, as seen from the seat of my bianchi. you can follow me here. blonde (i)photos & other news. in fact, the last 16 months have been straight up tumultuous. exciting to say the least, and downright harrowing at times. but good – all very good. i know, i know – moving to kenya, shooting weddings & photo projects all over the states, mexico & africa, becoming a kenyan resident & starting a kenyan business, then narrowly escaping somali pirates, leaving my beloved lamu island, kenya, teaching in india, falling in love, traveling some more, becoming a storyteller, becoming an innkeeper, and taking up woodworking are not excuses for ignoring my blog for over a year…but there are some things you just can’t plan for. sometimes life takes over, and really, i blame my iphone. it’s true – i love having a camera with me all the time that fits in my pocket and takes great images. and i love uploading those photos directly to facebook and sharing them with friends, family & fans. plus, it has helped me begin to separate photography work & photography fun, since that line was starting to blur (in a bad way) after working so hard the past 7 years. just so you know, all of my recent work from the last 16 months (weddings, portraits, travel, documentary) can be found on the blonde photo | facebook page. if you aren’t a fan, and you want to stay up-to-date on everything i’m shooting & doing, then you should go ahead and click here. …and i was serious about everything i mentioned above, especially the fact that i am running a beautiful, historic bed & breakfast, so if you are interested, you can find out more about that here. and now, for your visual delight, here are some of my favorite blonde (i)photos from the past year. lusungu + jason :: married! lusungu + jason :: married! lamu island, kenya. kipungani is a secluded, remote area of lamu island located on the southwest side, and separated from the mainland by a peaceful, mangrove lined bay. the beach is an endless stretch of white sand, speckled with palm trees and strewn with delicate sand dollars, facing out onto the indian ocean. traversing the 15 miles from either of the two main settlements on the island, lamu town or shela village, takes approximately 3 hours on foot, 1.5 hours by dhow (sail boat) or 25 minutes by speedboat. for lu + jason’s wedding, guests flew in from nairobi and landed on the manda airstrip, just across the channel from lamu island, and traveled by speedboat to kizingoni beach. kipungani is a very small village, and kizingoni beach is a collection of privately owned, stunning swahili houses, with a full staff to accomodate guests and arrange meals, activities and excursions, as well as plan events + weddings. having been in shela for the three preceding weeks, i jumped on a speedboat and joined the wedding party on the tuesday before the wedding. i loved being part of the week’s festivites and spending time getting to know lu + jason’s family + friends. i’m not sure i’ve ever encountered such a diverse, talented and truly brilliant group of people in one place before! it was a fascinating mix of international journalists, teachers, artists, UN workers, and authors…in fact, jason *just* published his book Dancing with Monsters — which details the political, social, and moral issues of the Congo, and is being hailed as an “impressively controlled account of the devastating Congo war.” incredible! the wedding ceremony took place on the afternoon of november 27th at the mary mother of jesus catholic church in lamu town — followed by a brief stop in shela village for portraits, and back to kipungani by speedboat for a beach ceremony at sunset. following a series of wonderful speeches, poems, an even a song written by one of their good friends, guests reveled in a bonfire on the beach, dinner by candlelight, and dancing under the stars. lusungu + jason :: CONGRATS! or more appropriately, in swahili, HONGERA! i adore you both and will cherish the memories of your wedding celebration always. kathy + ulisses :: married! kathy y ulisess, hecho en mexico. kathy + ulisses :: married! tlaxcala, mexico. a few weeks ago i traveled to the small town of tlaxcala, mexico to document kathy + ulisses’ wedding celebration. the international guest list included over 400 family + friends who reveled in the week’s festivities — singing, dancing, and downing tequila like locals. from touring the pyramids to petting the tequila donkey to balloon bashing + line dancing to “achy breaky heart” en espanol, it was unlike anything ive ever seen! kathy + ulisses live in chicago (where i recently did their engagement session) but chose to get married in ulisses’ hometown of tlaxcala, where he not only grew up, but where both his father + grandfather once served as mayor of the town. tlaxcala is vibrant and colorful, located in the center of the country with a mountainous landscape and cool, crisp weather. the catholic ceremony took place at the stunning san francisco cathedral in town, and the reception was at the restaurante la fabrica in the hotel la trinidad. the combination of traditions — mexican drama meets american flair — made for an exciting, emotional, and totally thrilling day. i loved ulisses’ charro suit + huge sombrero, and was amazed by kathy’s gorgeous handmade gown + lacy veil — woohoo mama quinlan! it was a fabulously authentic celebration — kathy + ulisses are such an amazing couple and so loved by everyone, and i feel very, very lucky to call them friends and to have been witness to this very unique wedding. kathy + ulisses — CONGRATS! y muchos felicidades! TE AMO! 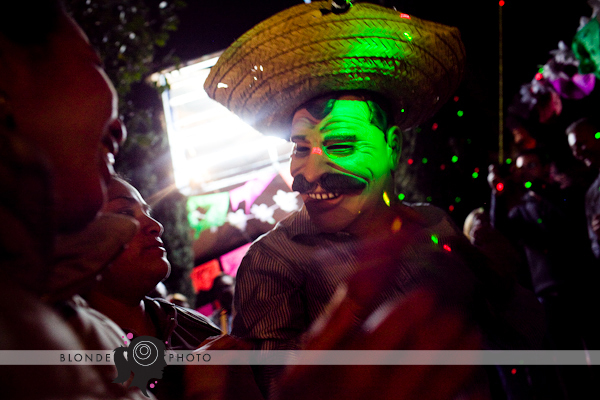 and now, boda de mexico, en tres partes — enjoy! shots with the groom! three amigo style. meghan + jim :: married! meghan + jim :: married! baltimore, maryland. i believe that being asked to photograph any wedding is a privilege, but it is undeniably special to capture that day for a fellow photographer. while many of my clients are artists, meghan is a wedding photographer (in addition to a brilliant lawyer) and the fact that she chose me to be part of her celebration filled me with honor + excitement — she traded her camera for a bouquet and trusted me to document her wedding — i was absolutely flattered and, to be honest, a little flustered all at once! i met meghan + jim in the fall of 2009 for a lifestyle session (the original ‘charm city lovefest’ even before they were engaged) and i instantly loved everything about this couple. they were so happy and relaxed, such a wonderful complement to one another. as we’ve become friends, i realize that that’s what makes them so special — that they are simply + profoundly happy together. and while that might seem like a given for all couples, i have found that is truly a rare and wonderful thing to behold. i love nothing more than being in the presence of people who are happy, people who love freely and openly, people who take nothing for granted. and if i were to describe meghan + jim’s love in just one word, that word would be genuine. sheer joy radiates from this couple, filling the space in between, and spilling out onto everyone that they love and that loves them. when i look at the photo above that’s the first thing i see — the love in the space between them. meghan + jim :: congrats! all my love to you both! snapshot :: a mexican love story. 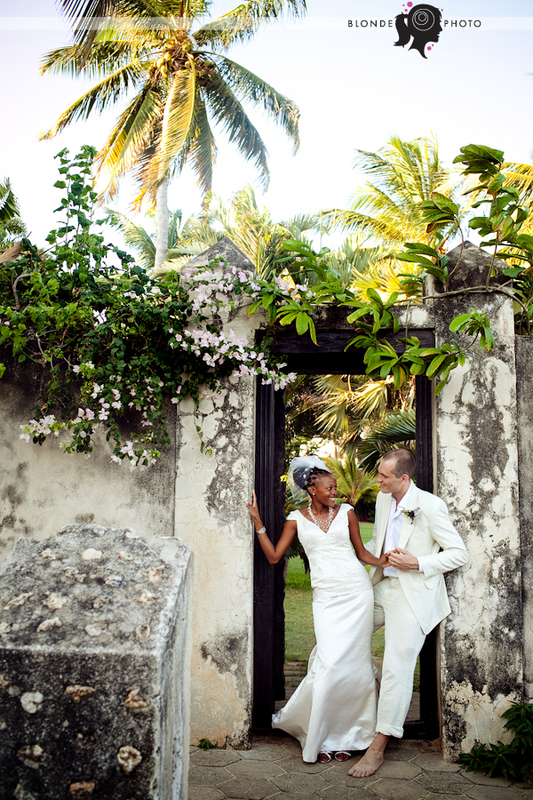 snapshot :: love in lamu. welcome! my name is jaime windon, i am the blonde photographer, and the world is my oyster. my life is nothing less than a global roadshow - originally from washington, dc, i just returned from living + working in lamu island, kenya. i am currently based on the eastern shore of maryland, and travel incessantly to satisfy my wanderlust + to capture the best images possible. i believe candid photography is the ultimate art, and my ideal subjects are people who are in love with life, with each other, and with the world around them. my work is primarily focused on weddings, portraits, travel & documentary projects. i love a good story. have one you want me to tell? then email me with your request and any questions, comments, or concerns. all images © jaime windon - the blonde photographer ® - blonde photo, llc. for daily emails click here! 801,256 people love this blog! lamu :: shela primary school. nicole + nick :: in love in park city. harper :: lifestyle family session. snapshot :: a perfect day. kathy + ulisses :: engaged! trotline crabbing in broad creek.